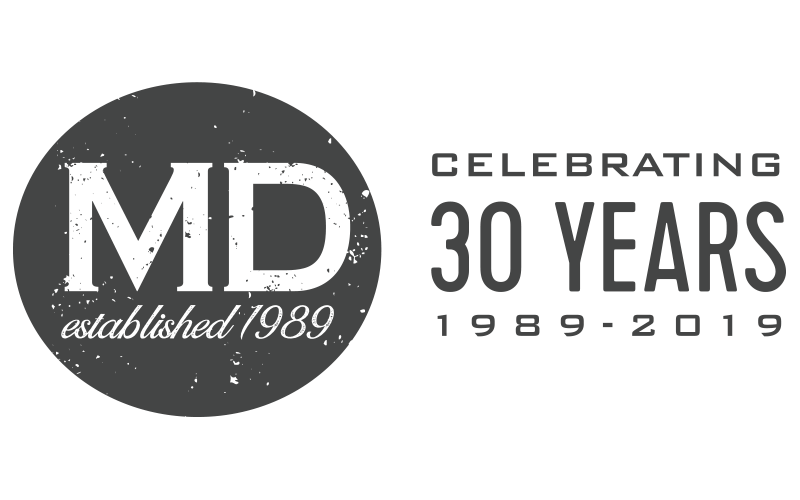 MD Packaging has partnerships with three leading manufacturers in the field of case formers and case sealers. 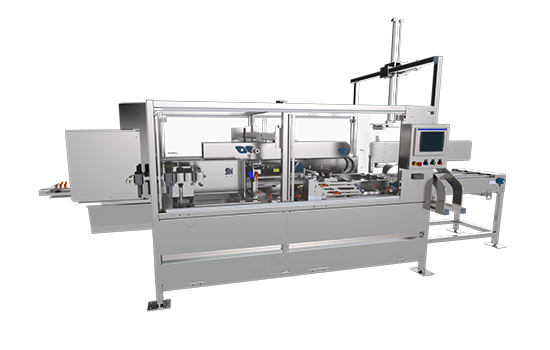 Pearson Packaging has case erectors and sealers for every application, from small footprint, low-speed applications to large high speed units in both tape and hot melt glue formats. 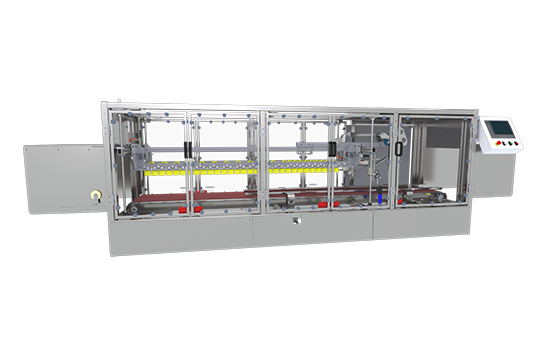 Their case erectors and sealers are designed for 24/7 continuous operation and support a wide range of case sizes. We have an exclusive agreement with BlueWater Automation for sales, parts and service. In fact, we have their F-16 case former in our demo room. 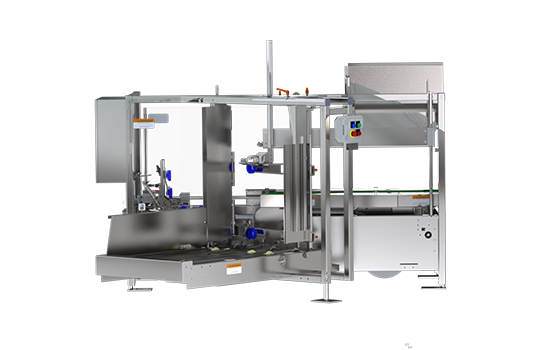 BlueWater Automation’s equipment is suitable for sanitary environments with very small footprint to help with space utilization. 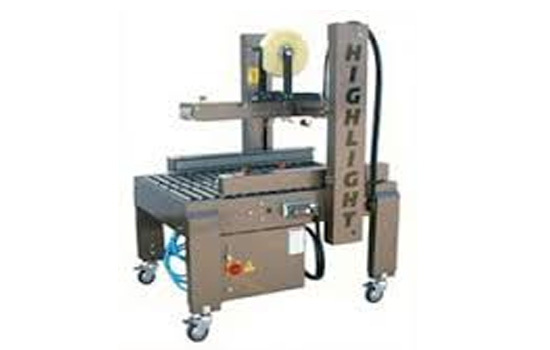 Highlight offers a variety of case formers and case sealers – a solution for every application and budget! We have a few units in our show room and are happy to demo the equipment for you! Pearson’s CS15 family of Case Sealers handles a wide-range of RSC and CSSC case sizes. Featuring a compact size and continuous motion, the CS15 top seals at speeds of 15 to 29 cases per minute depending on case length. Pearson’s CS25 Case Sealers are compact and fully-guarded. 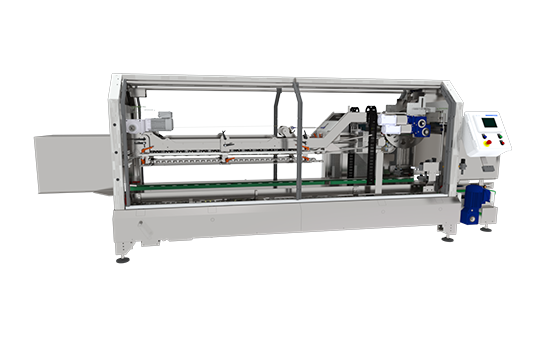 The CS25 top seals a wide-range of case sizes with either pressure sensitive tape or hot melt adhesive at speeds of 25 to 42 cases per minute depending on case length. 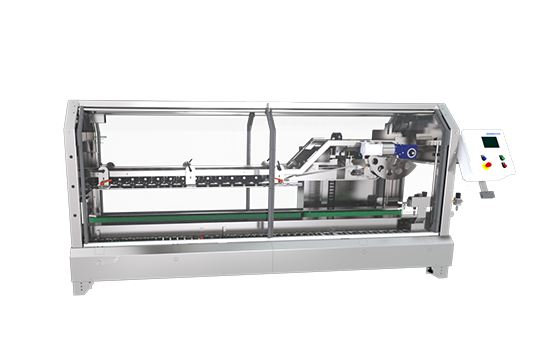 Pearson’s CS30 family of Case Sealers operates at high speeds of up to 30 cases per minute. 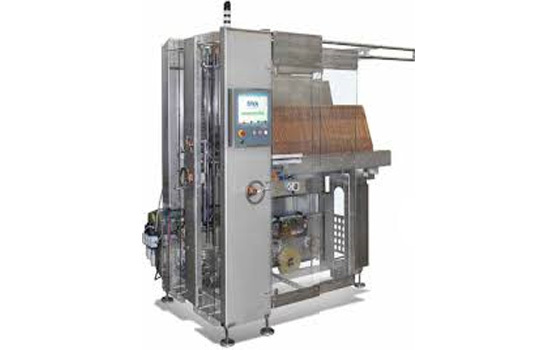 While our Random Case Sealer features automatic case centering to allow for random feeding of various case sizes, our Inline Top and End Sealer is specifically designed to close and seal partial overlapping top flaps, and then fold and seal end tab extensions. Pearson’s CS40 Case Sealers are fully-guarded, and available in either mild or stainless steel construction. The CS40 top seals a wide-range of case sizes with hot melt glue at speeds of 40 to 67 cases per minute depending on case length. 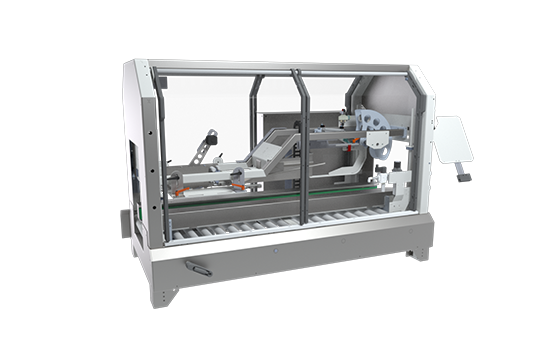 Pearson’s CS50 family of case sealers reliably seals up to 50 cases per minute, accommodating a wide range of case styles and sizes. The undersized case model is optimized for boxes as small as 5in x 3.5in x 3.5in. 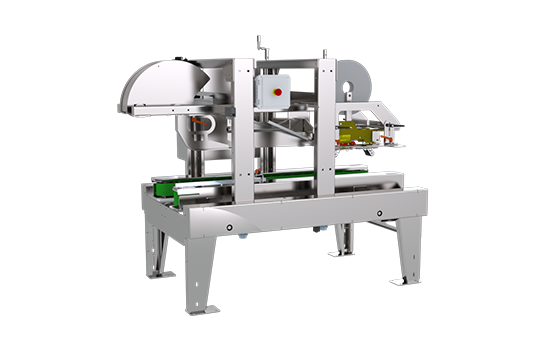 The Pearson SS45 Side Flange Sealer effectively addresses the “flagging” and “skewing” challenges commonly associated with continuous motion sealers. 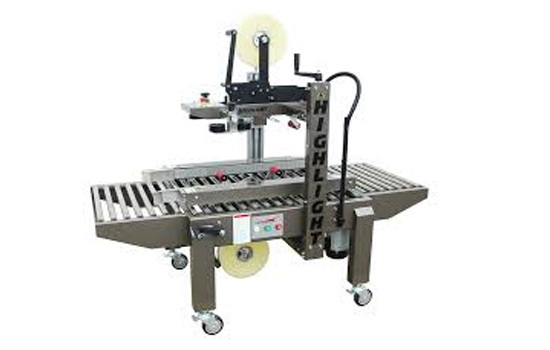 Ruggedly built, the SS45 Side Flange Sealer is capable of speeds of up to 45 cases per minute. The Pearson CE15 family of Case Erectors operates at speeds up to 15 cases per minute. All models feature an ergonomically friendly, powered, 45°angled horizontal case magazine. With a vertical case presentation and compact footprint, the CE15 family of Case Erectors is ideal for limited floor space applications. The Pearson CE25 family of Case Erectors operates at speeds up to 25 cases per minute. All CE25 models feature an ergonomically friendly, powered, horizontal case magazine. 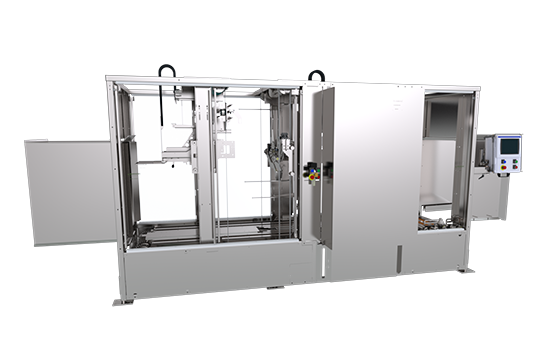 With a vertical case presentation and compact footprint, the CE25 is ideal for limited floor space applications. The Pearson CE50 family of Case Erectors provides industry leading output in a compact footprint. Its proven design, optimized in demanding real world applications, incorporates highly reliable servo motors on all major motions. The CE50-UG undersized case model is ideal for erecting small and irregular shaped cases. 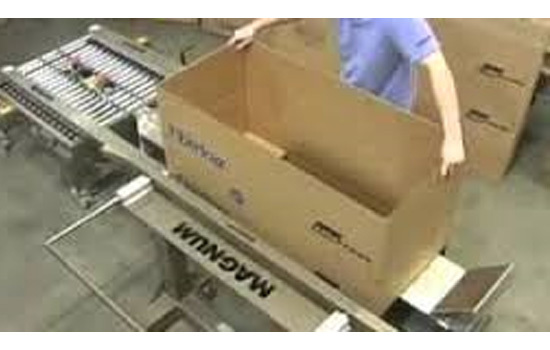 MD Packaging is BlueWater Automation’s exclusive distributor for all sales, parts and service. The CFPS-700 acts as a hold down table, freeing the operator’s hands for packing up to 45lbs of product. 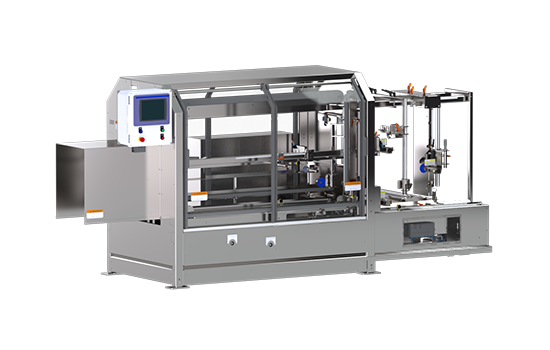 When integrated with a case sealer, a single operator can easily achieve a production rate of up to 15 cases per minute. Adjustable legs from 22″–32″ with locking castersThe Highlight Magnum™ 1300 TB-U is a top and bottom belt drive case sealer. 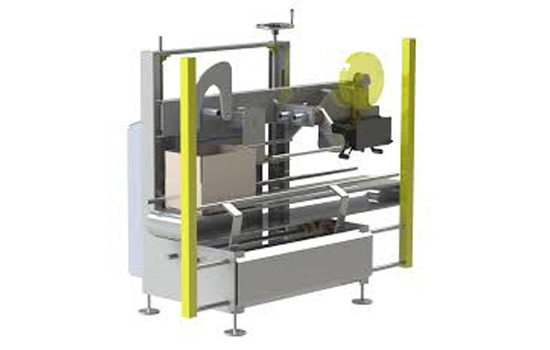 Top and bottom drive systems provide the best drive and support for cartons that are taller in height and shorter in length because the top and bottom drive belts hold the carton down more securely while applying the tape. The 1300 provides accurate, consistent tape application to uniform cases. The top drive belts and tape head can quickly be adjusted for different box sizes with the turn of a handle. Highlight’s 200 series tape head will accept any 2-inch case tape and provides optimum case sealing to the top and bottom of the case. Operates at up to 30 cases per minute. 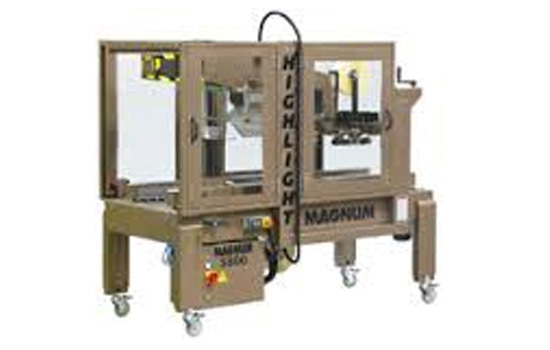 Adjustable legs from 22″–32″ with locking castersThe Highlight Magnum™ 2300 SD-U is a side belt drive case sealer. Side drives provide the best drive and support for cartons that are longer in length and shorter in height because the side drive belts hold the carton more securely while applying the tape. The 2300 will provide accurate, consistent tape application to uniform cases. 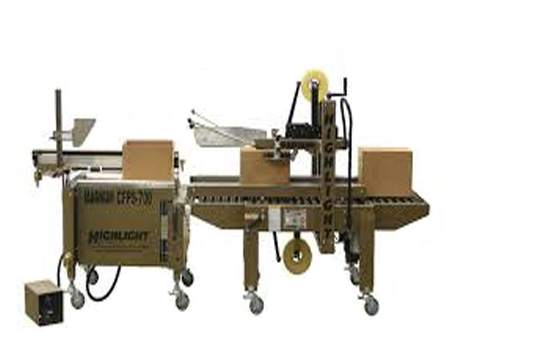 The side belts drive and tape head can quickly be adjusted for different box sizes with the turn of a handle. Highlight’s 200 series tape head accepts any 2-inch case tape and provides optimum case sealing to the top and bottom of the case. Operates at up to 30 cases per minute. Adjustable legs from 22″–32″ with locking castersThe Highlight Magnum™ 3500 TB-R is an automatic top and bottom belt drive case sealer. 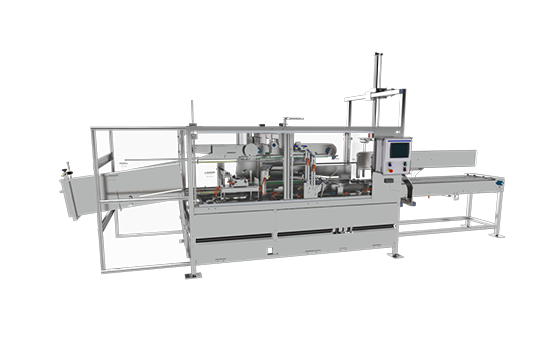 Top and bottom drive systems provide the best drive and support for cartons that are taller in height and shorter in length because the top and bottom drive belts hold the carton down more securely while applying the tape. The 3500 provides accurate, consistent tape application and automatically adjusts to your case sizes. Highlight’s 200 series tape head accepts any 2-inch case tape and provides optimum case sealing to the top and bottom of the case. PLC controls with two taping programs improve re l i a b i l i t y and speed. Operates at up to 20 cases per minute. 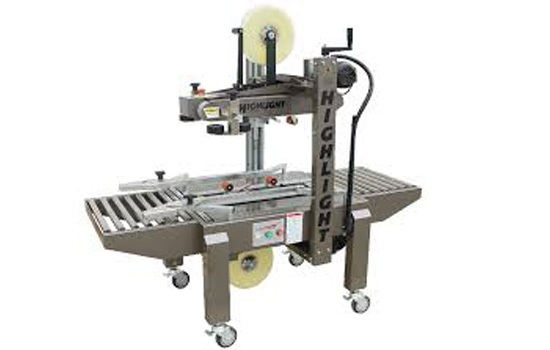 Adjustable legs from 22″–32″ with locking castersThe Highlight Magnum™ 4500 SD-R is an automatic side belt drive case sealer. 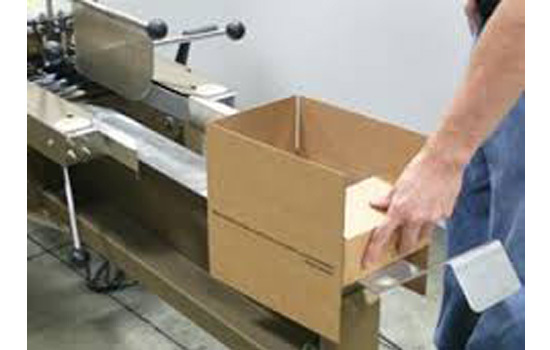 Side drives provide the best drive and support for cartons that are longer in length and shorter in height because the side drive belts hold the carton more securely while applying the tape. The 4500 provides accurate, consistent tape application and automatically adjusts to your case sizes. Highlight’s 200 series tape head accepts any 2-inch case tape and provides optimum case sealing to the top and bottom of the case. PLC controls with two taping programs improve reliability and speed. Operates at up to 20 cases per minute. Options available: infeed and exit conveyors. 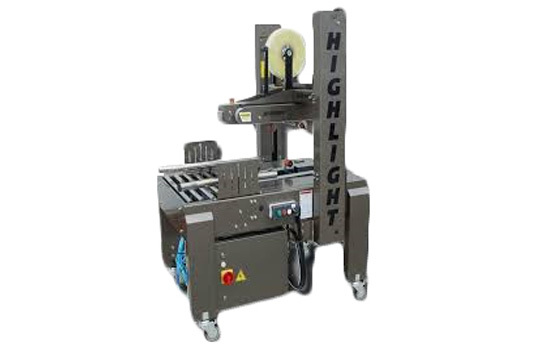 The Highlight 5800 SD-U FF is an adjustable side belt drive case sealer designed to automatically fold the flaps and provide accurate, consistent tape application to uniform cases. Highlight’s 200 series tape head will accept any 2 inch case tape and provide optimum case sealing to the top and bottom of the case. The system is designed to operate at up to 20 cases per minute. An optional 3 inch tape head, model 300, is also available and interchangeable with the model 200. Chrome steel 16 inch long entry and exit conveyors are optional.